At True Grit Cycling Club, we strongly believe in having fun and connecting with new people who share the same passion for cycling. 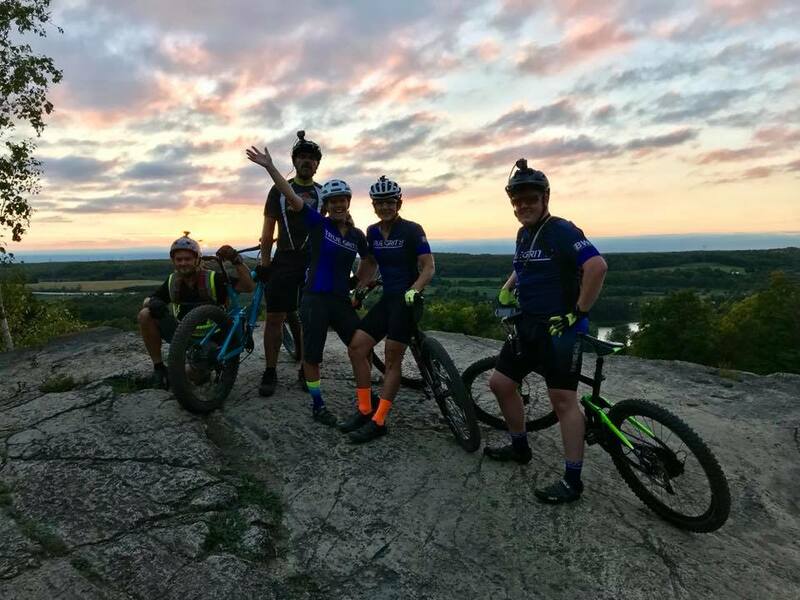 New for the 2019 season: Wednesday night MTB ladies ride! Our Thursday night club ride will also be open to women, men and kids of all abilities. Both of these rides will be held at Kelso, departing from the Summit Lot at 6:30pm. Throughout the season we will be adding more ride options including a group MTB ride in Waterdown and a road ride based out of Milton. Also in the works for 2019 will be a few destination rides outside of the GTA. Stay tuned for details! Ride Leaders Wanted! With all of these great rides planned, TGCC is looking for enthusiastic ride leaders to share their knowledge of the local trails who will accept high-fives and cool TGCC swag in return for their efforts. We will provide training on ride protocol and procedure. Please contact us if interested! Keep an eye out for TGCC members at the local race series and the Ontario Cup events and bring your cowbells! Whether you’re a seasoned expert shredder or just starting out, there’s something for everyone at TGCC where it’s all about enjoying the ride. Sign up today and get ready to enjoy the ride! • Organized group rides- riding together is better! • Learn to train at your peak with a free 1 hour assessment with Karen from Fit 4 Adventure!